'Don Quixote' is a ballet with a coherent story, a colorful cast and a score that throws off one irresistible tune after another. Why See BalletMet Columbus - Don Quixote? Fusing high spirited comedy and breathtaking dance, iconic balletmaster Marius Petipa's legendary Don Quixote ballet was performed by the Bolshoi Theatre of Moscow in 1869, going on to become a long lasting favorite of the classical ballet repertoire throughout the world. BalletMet Columbus presents the age old tale with a fresh perspective as part of their 2018/19 season programming, featuring new choreographic interpretation by the company's artistic director Edward Liang. Based on Miguel de Cervantes classic novel 'Don Quixote de la Mancha', the ballet uses the spice of Spanish folk dances, jaw dropping and technically demanding movements, Ludwig Minkus' timeless score and a sense of theatricality to illustrate episodes from the tale about an old man who becomes a knight errant when he reads one too many fairy tales about damsels in distress and a medieval romance. 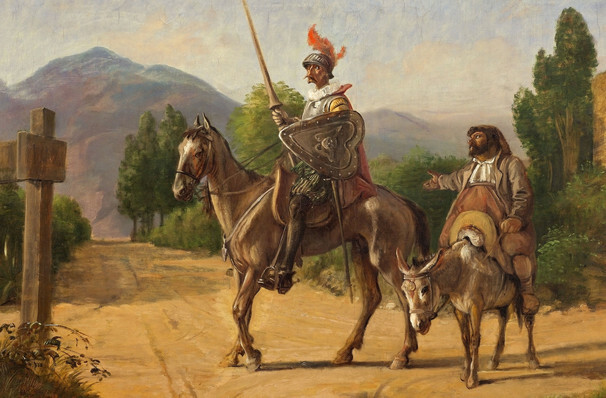 Setting out on an adventure with his faithful and slightly more sane sidekick Sancho Panza, the hilarious Don Quixote draws ridicule and infamy as attempts to woo and bring honor to the lady of his dreams Dulcinea. 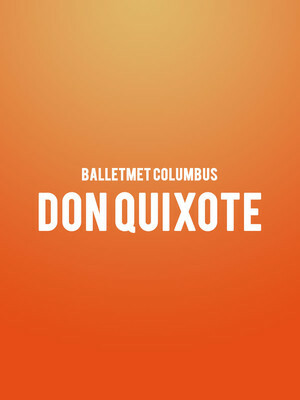 Seen BalletMet Columbus - Don Quixote? Loved it? Hated it? Help your fellow Columbus Theater visitors by leaving the first review! Sound good to you? Share this page on social media and let your friends know about BalletMet Columbus - Don Quixote at Ohio Theater. Please note: The term Ohio Theater and/or BalletMet Columbus - Don Quixote as well as all associated graphics, logos, and/or other trademarks, tradenames or copyrights are the property of the Ohio Theater and/or BalletMet Columbus - Don Quixote and are used herein for factual descriptive purposes only. We are in no way associated with or authorized by the Ohio Theater and/or BalletMet Columbus - Don Quixote and neither that entity nor any of its affiliates have licensed or endorsed us to sell tickets, goods and or services in conjunction with their events. Columbus Theater is part of the Theatreland Ltd Collection. Established in 2003, Theatreland offers the largest individual collection of websites providing complete, impartial guides to all the theatrical, musical and performance arts events and venues in the world's greatest theatre cities, from New York's Broadway to London's West End and from the showrooms of Las Vegas to Shakespeare's Globe Theatre.